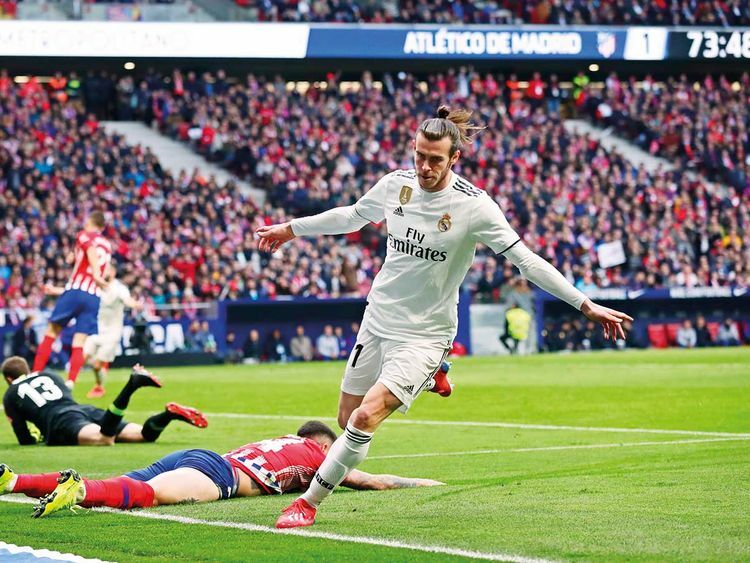 Madrid: Thibaut Courtois overcame the jeers — and a barrage of toy rats — while Gareth Bale delivered a timely reminder of his talents as Real Madrid beat Atletico Madrid 3-1 in a feisty city derby on Saturday. He was whistled when he came out to warm-up and then before kick-off too, as the Atletico ultras behind the goal hurled dozens of toy rats towards his head. A sign read, ‘Thibaut — Rata’, just to underline the point.